South Africa has given the world great musical talents over the years. From the late Lucky Dube to Lady Blacksmith Mambazo, Soweto Gospel Choir and Miriam Makeba, and Pauline Malefane, is standing tall alongside her contemporaries. When you first meet Pauline Malefane, you are forced to reconcile yourself to the truth that this is the same person with the entrancing stage persona you witnessed a few days before. Her voice has been described as ‘electrifying,’ her stage and screen presence is said to be a mixture of regal and firebrand luminosity. Yet, Melafane is one of the most reserved and laid-back individual, who takes things in her strides that I have ever met in my working career as a journalist. 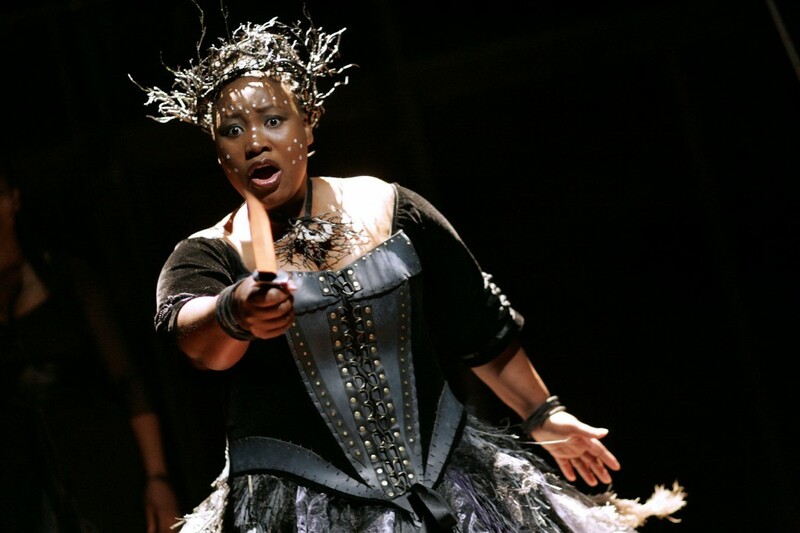 Born in 1976 in the township of Khayelitsha, Cape Town, South Africa, Malefane was first exposed to Opera during a school outing to see the production of Don Giovanni. A trip she describes as “A very strange afternoon for black kids from the township. You couldn’t associate it with anything.” She has since gone on to the world stage, gaining accolades and winning plaudits from world renowned critics and audiences alike. Quizzed about her musical talents, Malefane explains, “We are born with it, music is part of our everyday life and everything that we do is based on music. Our culture is very rich in terms of music.” She started singing in choirs at a very young age. While Malefane admits she didn’t like it because you felt compelled to do it. However, it was more fun to do in her high school days and “though you don’t get the training, you learn the songs and to sing in front of people, and all about presentation,” she says. It is an experience she credits as her preparation ground for her future roles. Malefane first came to the world’s attention in her role as Carmen. A strong believer in the power of education, “I grew up poor in a township and I told myself that the most important thing is education,” she says. She studied for a Performers Diploma in Music at the University of Cape Town’s College Of Music. While studying during the day, Malefane worked at the Opera House as part of a choral group at night. Needless to say that her first year was very challenging and according to her, a disaster, “I failed all my exams but I said to myself, ‘this is where I want to be.” Her determination and resilience seems to have paid off. To date, Malefane has toured 4 continents of the world, dazzling audiences with her voice. Carmen was produced with a South African twist because it was translated and sung in Xhosa. It opened to critical acclaim in London, and described by the Observer newspaper as ‘The Carmen by which others should be measured.’ Malefane is quick to admit the role was “exciting and frightening, because when I first performed Carmen in Cape Town, the critics didn’t like it. They smashed it to bits.” Hence, she thought the director and producer were out of their minds when they decided to transfer the show to London but the prospect of performing on the London stage was very appealing. “When the reviews came out, it was fantastic. I couldn’t believe it. I thought I don’t think they’re talking about me really” she says. In 2005, Malefane co-wrote, translated into Xhosa and starred in the feature film U-Carmen eKhayelitsha, which won the coveted ‘Golden Bear’ at the Berlin Film Festival. She also received the ‘Golden Thumb’ for her performance from Roger Ebert, the Pulitzer Prize-winning US film critic. “I felt privileged to be awarded the Golden Thumb because he is from the old school and he understands exactly what we are trying to do. So, people like that to me re an inspiration,” says Melafane. Since then, she has since co-written and acted in Son of Man, which premiered at the Sundance Film Festival in 2006, also to rapturous praise. Her wish has certainly been fulfilled because Michael Billington, the Guardian theatre critic called her a ‘Magnificent Queen of the Night, unafraid to hit those high notes,’ for her latest role in The Magic Flute/Impempe Yomlingo. It recently won ‘Best Musical Revival’ at the 2008 Olivier Awards. The show which opened to rave reviews in November 2007 at the Young Vic, before transferring to the West-End in February, was adapted and directed by Mark Dornford-May, artistic director of Portobello Productions. He is also Malefane’s husband. However, there is more to come from Malefane, who is far from done. “I haven’t got it all. I still have to work hard. I am not there yet,” she says. This entry was posted on Saturday, June 5th, 2010 at 7:45 am	and is filed under Africa, Features, Interviews, Journalism, People, Theatre Interviews. You can follow any responses to this entry through the RSS 2.0 feed. You can leave a response, or trackback from your own site.